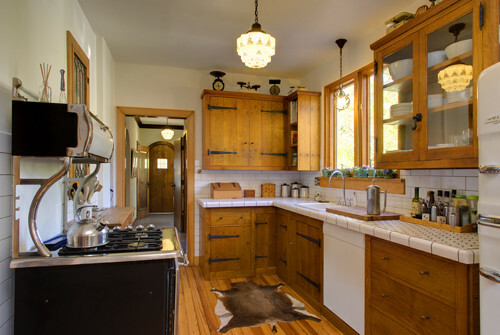 Voysey-Inspired Kitchen - NR HILLER DESIGN, INC.
Quartersawn white oak cabinets have hand-forged strap hinges and hand-turned knobs. Vintage steeple-tip architectural hinges support the doors of a glass cabinet storing dishware. 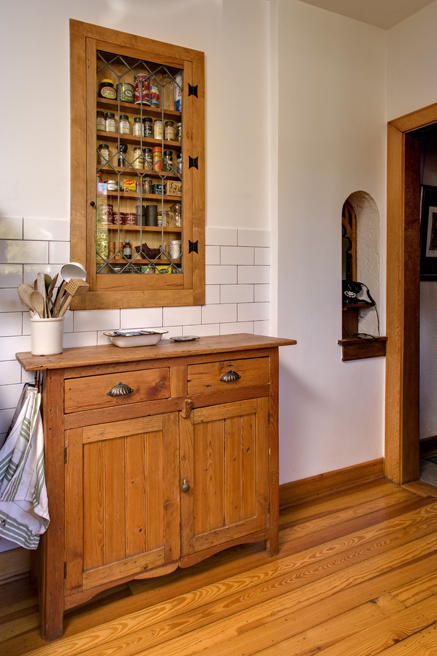 Above the vintage sideboard, a recessed spice cabinet incorporates a piece of old leaded glass as door.